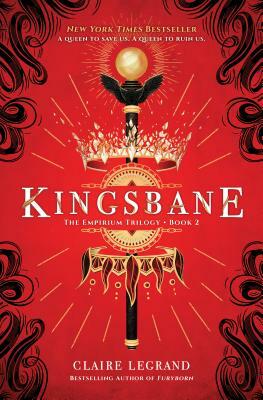 In this sequel to the instant New York Times bestseller Furyborn, two queens, separated by a thousand years, connected by secrets and lies, must continue their fight amid deadly plots and unthinkable betrayals that will test their strength--and their hearts. Rielle Dardenne has been anointed Sun Queen, but her trials are far from over. The Gate keeping the angels at bay is falling. To repair it, Rielle must collect the seven hidden castings of the saints. Meanwhile, to help her prince and love Audric protect Celdaria, Rielle must spy on the angel Corien--but his promises of freedom and power may prove too tempting to resist. Centuries later, Eliana Ferracora grapples with her new reality: She is the Sun Queen, humanity's long-awaited savior. But fear of corruption--fear of becoming another Rielle--keeps Eliana's power dangerous and unpredictable. Hunted by all, racing against time to save her dying friend Navi, Eliana must decide how to wear a crown she never wanted--by embracing her mother's power, or rejecting it forever.